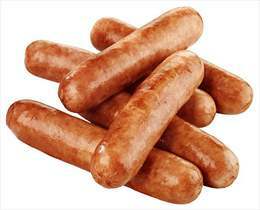 Lactic acid bacteria (Lactobacillus sake and Lactobacillus curvatus) are considered a major spoilage bacteria found on various types of vacuum-packaged cooked sausages and produce undesirable sensory attributes, such as sour aroma and taste. The outgrowth of food pathogens, especially Clostridium botulinum and Listeria spp. may contaminate cooked sausages after cooking. NisinZTM, partially replaces nitrate, is frequently used to fix colour and to prevent the outgrowth of LAB, Clostridium botulinum and Listeria monocytogenes in cooked sausage. *Cooked sausages include hot dogs, Braunschweiger, liver sausage, cervelat, Jagdwurst, and Weißwurst.